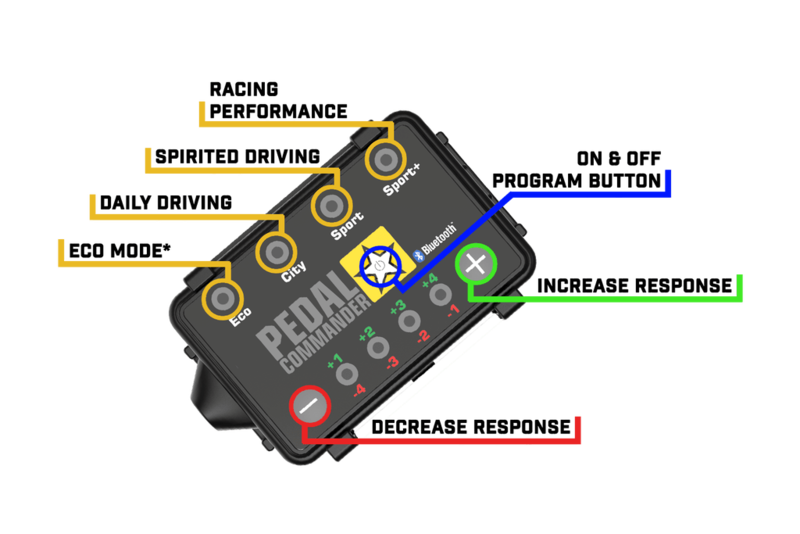 Pedal Commander is a throttle response controller that removes response delays on your electronic accelerator pedal. 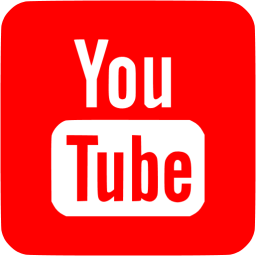 Effectively, it allows your engine to respond faster so your car can accelerate faster! You paid lots of money for a serious vehicle; when you press your gas pedal, it shouldn’t feel like you are pressing a sponge. Haven’t you ever noticed that older cars tend to be more responsive, before digital pedals?  We’re giving you that response back!Pedal Commander has 4 different control modes: Eco, City, Sport, and Sport+ . Each control mode has 8 adjustable levels to work with. These different settings are what provide drivers with unique acceleration control in their vehicles.